Please refer to our stock # R.2883 when inquiring. 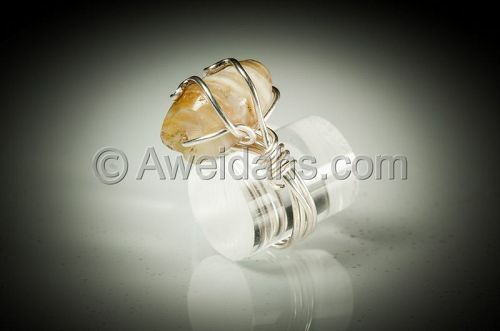 Ancient genuine Roman agate bead set on modern silver wire ring Roman, 1st century AD. Complete any outfit with this unique fashionable and trendy ring made of ancient genuine Roman carnelian stone beads dating to 1st Century AD set on modern sterling silver wire ring. All jewelry designs are exclusive, created of craft way. There is only of each model. Ring size: 53 ALL ITEMS THAT WE OFFER FOR SALE COME WITH A CERTIFICATE OF AUTHENTICITY.